Recent developments in radiation therapy have largely centered on the improvement in delivering radiation to a highly conformal target with high precision. The increased use of stereotactic body radiotherapy (SBRT) has also introduced another dimension of treatment, potentially replacing surgery in select situations to aggressive treatment of oligometastatic disease to invoking a systemic response using immunomodulators. Simultaneously, advances in systemic therapy ranging from traditional chemotherapy regimens to targeted biologics, and more recently immune modulators, are rapidly affecting the field of radiation oncology. These advances rely on a synergy between significant improvements in radiation delivery, driven by image guidances and more conformal delivery or radiation, and a greater understanding of tumor biology. 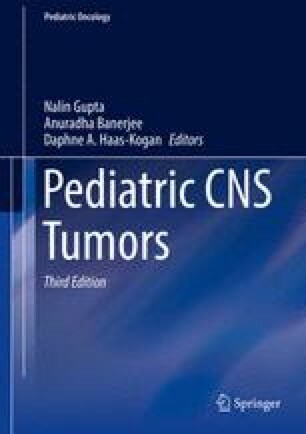 This chapter will focus on an understanding of advances in these areas and future directions for pediatric brain tumors levering these innovations.